You’ve probably heard of Harriet Beecher Stowe, the bestselling female American author of the 19th century, due in part to the unprecedented first-year sales (300,000 copies) of her anti-slavery novel, Uncle Tom’s Cabin. But what about the second highest selling female author? That would be Mary Jane Holmes (1825–1907). But today, these books give us a glimpse of life as it was for our female counterparts in 1800s America. After all, we can’t all live at Downton Abbey! Mary Jane’s books tackled the serious issues of gender, class, war, and the injustice of slavery through the eyes of feisty females we can identify with. 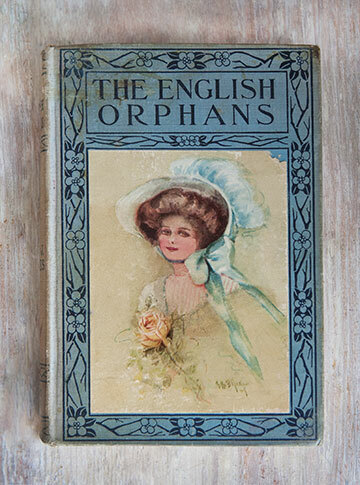 They were wildly popular with women of the time, and many libraries were said to have carried up to 30 copies of each title in order to meet the demand of her readers. I’ll admit I picked up two of her books (one in the Photo of the Day, above, and one below) at a secondhand store because of their beautiful covers, but once I looked inside, not only was I delighted to discover her first name (the covers just listed “Holmes”), I was thoroughly enchanted with her turn of phrase and her accounts of the strong, independent women of yesteryear. 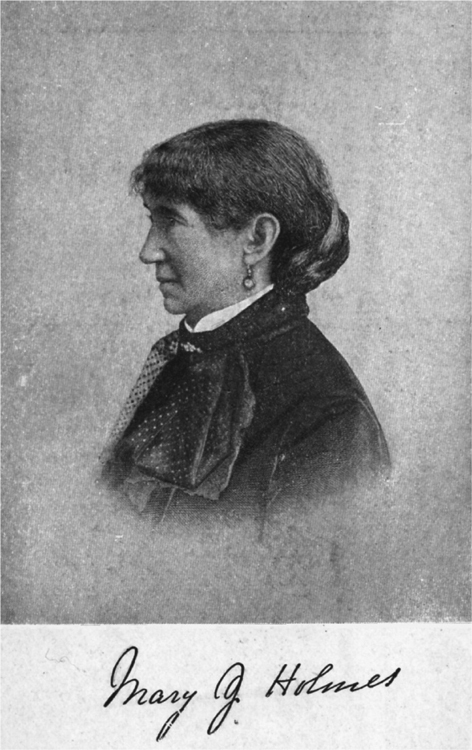 In later years, Mary Jane married fellow teacher Daniel Holmes, and after some success with her writing (her first novel, Tempest and Sunshine, sold a whopping 250,000 copies), traveled extensively (including France, Russia, the Far East, and the Mediterranean), and returned to hold social gatherings, where she used her gift of storytelling to educate community members about different cultures. After Tempest and Sunshine, she continued to write one novel per year until her death. While reading about her, I ran across a quote that hit home with this MaryJane: “Mary Jane was described as ‘a child with blue eyes and golden hair, fond of dreaming out fancies. '” Fond of dreaming out fancies sound familiar, family? I’m obsessed with words, letters, quotes, etc. You know, inspiration here, inspiration over there. Eventually, my walls will be covered in big letters, little letters, important words, and inspiring quotes. But I’ve never thought to do so in my own handwriting. Until now. Until I found the book, The Art of Whimsical Lettering by Joanne Sharpe. With my love for all things letters and words, the words “whimsical” and “lettering” were combined, and well, let’s just say I was intrigued. The first section of the book gives a run-down of Joanne’s favorite tools, including pens, paints, mediums, and paper. 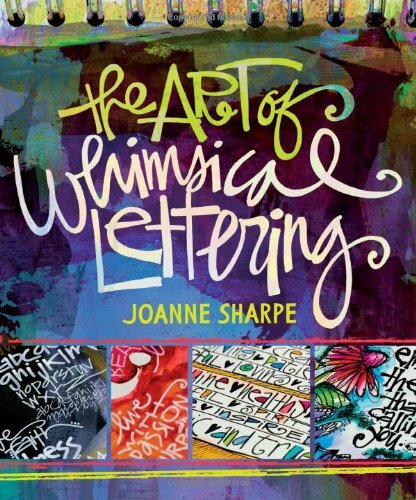 The next section shares techniques that Joanne uses in her own art practice and the fundamentals of whimsical lettering. Fifteen “Artistic Alphabets” are included in the third section, with lots of encouragement and instruction from the artist detailing how to practice with them to expand your own personal style. In the last section, Joanne gives insight into how she creates different styles on her pages and discusses how one might go about integrating their lettering into art. An artist gallery and a collection of favorite phrases and quotes are also included to inspire you on your lettering journey. I’m smitten with the idea of creating an alphabet of my very own!